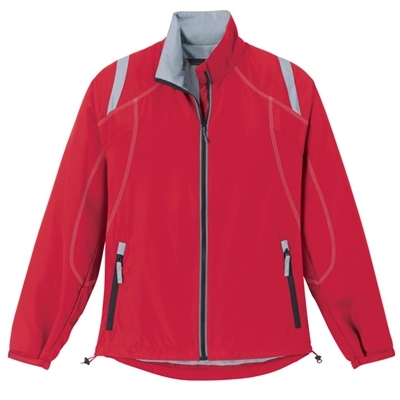 2.3 ounce, 100% 240T polyester with water resistant finish. Contrasting color mesh lining in back body and polyester taffeta lining in front body. Ease care with reflective stitching on external locker loop at back neck.